I’M THE BONFIRE. YOU MAKE ME STRONGER, YOU MAKE ME LIGHT UP. Ever since his remix of OMI’s “Cheerleader” reached #1 on iTunes in 55 countries, the 21-year-old German DJ and producer has achieved international recognition for his forward-thinking yet commercially-appealing sound. In addition, his massive breakout single “Ain’t Nobody“ with Jasmine Thompson has become one of the biggest tracks in 2015. His most recent tracks include a powerful, pop-leaning collaboration with Steve Aoki and Adam Lambert, “Can’t Go Home”, and a future bass-esque number, “Cut the Cord” with Hitimpulse, that had him stepping outside of his musical comfort zone. The collaboration with legendary German songwriter Herbert Grönemeyer, with whom Felix wrote “Jeder für Jeden”- a song which led the German national soccer team through Euro 2016 – is also remarkable. 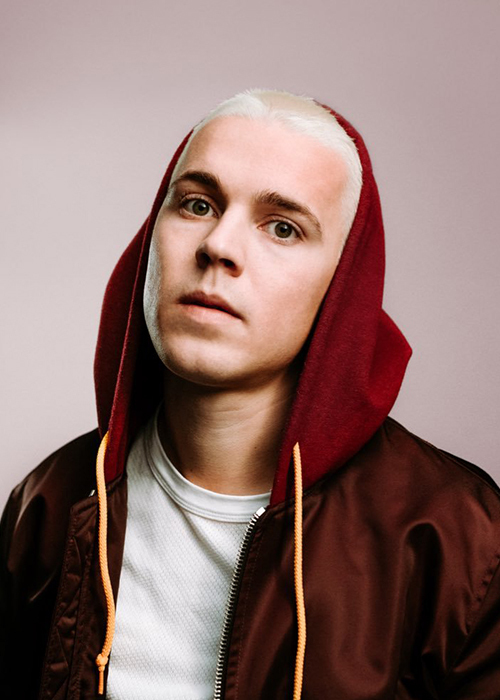 For his new single “Bonfire” Felix Jaehn has teamed up with ALMA, a Finnish up-and-coming singer/songwriter whose robust, commanding lyricism easily pulls listeners into a magnetic grasp. It’s gonna be huge!